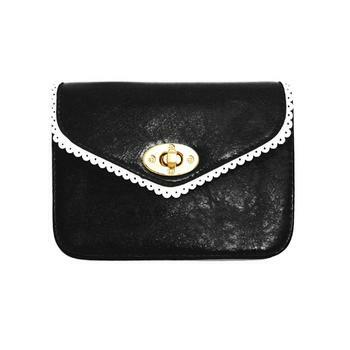 Black Lace Effect Trim Mini Clutch Bag with Metal Chain Strap. 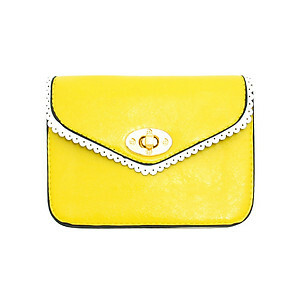 Bag features a Faux leather body, 2 Inside Compartments, and a detachable chain strap included. 6.75" x 5" x 0.5". 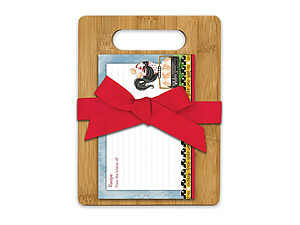 A PERFECT gift for yourself or any lady!